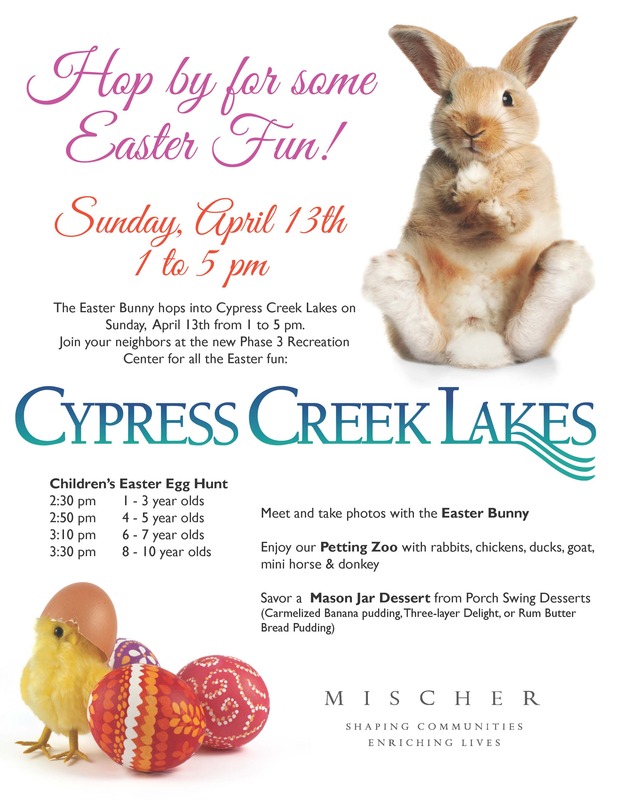 The Easter Bunny hops into Cypress Creek Lakes on Sunday, April 13th from 1 to 5 pm. Join your neighbors at the new Phase 3 Recreation Center for all the Easter fun. 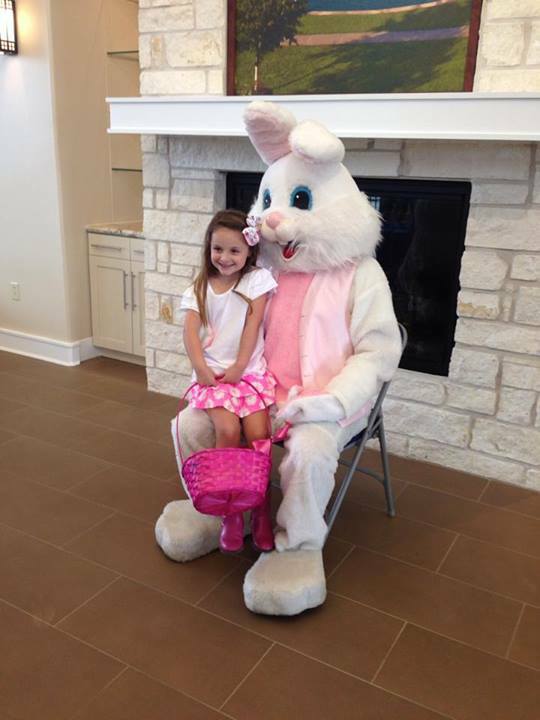 Meet and take photos with the Easter Bunny. 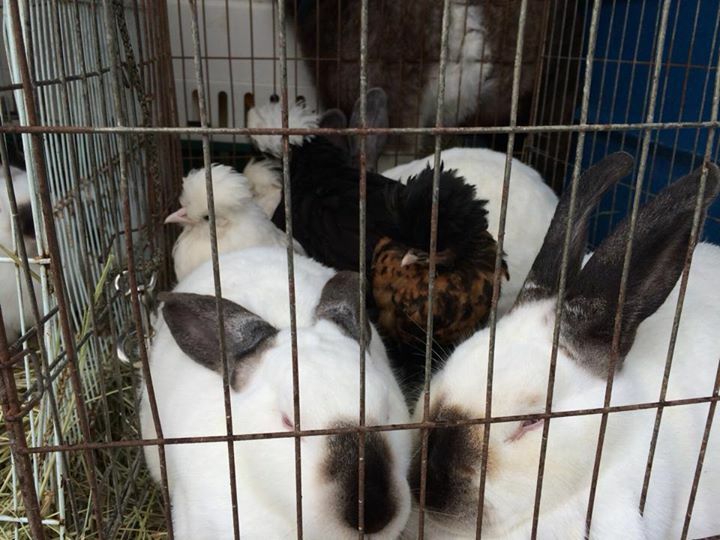 Enjoy our Petting Zoo with rabbits, chickens, ducks, goat, mini horse & donkey.